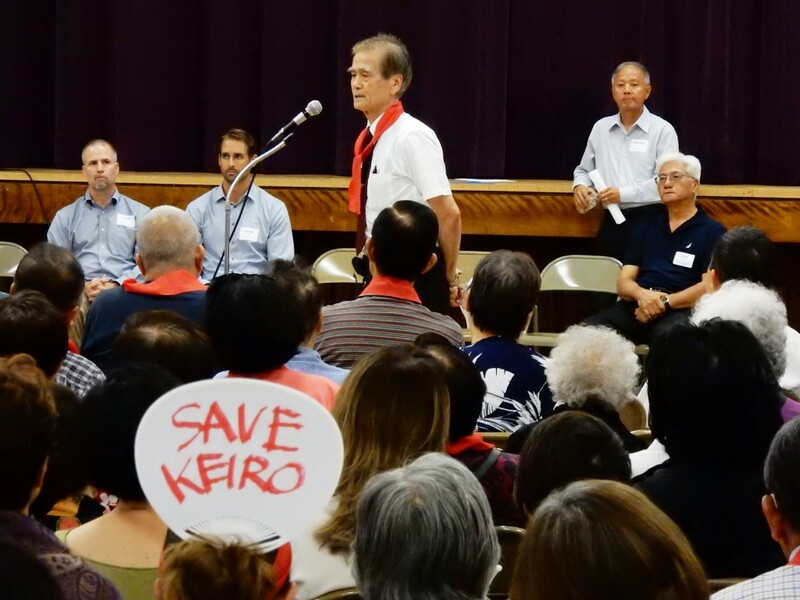 Keiro finally conducted a meeting where the public was actually allowed to attend. The 2-hour meeting was in effect really just a 1-hour affair, since everything was presented in English and therefore required a translation in Japanese. The agenda was structured such that there would be very little time for real questions. Furthermore, all questions were required to be submitted in writing, and Keiro would then select which questions they would like to answer. Keiro also had their own proponents in the crowd, a couple who were “picked” during the Q&A, but rather than ask a question, they attempted to convince the crowd why opposing the sale was futile. 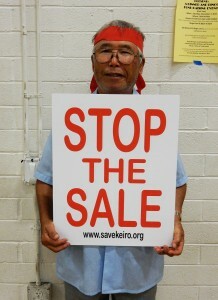 KPCC: Selling Japanese senior housing will hurt community, protestors say by Josie Huang. Rafu: Keiro Addresses Community at Open Meeting by Mia Nakji Monnier and Nao Naknishi. Photos courtesy of Shige Higashi, Cultural News. Shameful, shameful, shameful. Whoever is orchestrating the sell is scandalous and “NOT HUMAN” as my Uncle Shoan Yamauchi would say to these kinds of devious behavior.